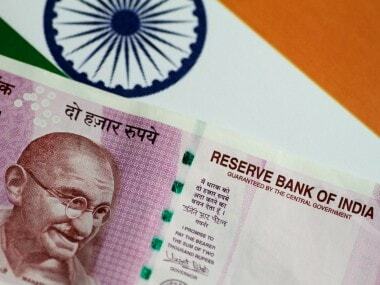 Mumbai: The rupee on Wednesday recovered by 13 paise to close at 68.83 against the US dollar amid sustained buying by foreign investors in domestic equity markets and lower crude prices. However, the local currency remained cautious ahead of the US Federal Reserve policy decision on Wednesday. Brokers said foreign fund inflows in the debt and equity markets helped the rupee recover. However, the dollar's strength overseas capped the gain, they added. At the Interbank Foreign Exchange (forex), the domestic currency opened lower at 69.11 a dollar and gained to touch the day's high of 68.72. It finally settled at 68.83 per dollar, up 13 paise over its previous close. 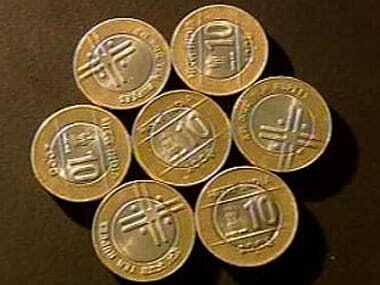 The rupee on Tuesday had slipped by 43 paise to close at 68.96 against the dollar. On a net basis, Foreign Institutional Investors (FIIs) bought shares worth a net of Rs 1,771.61 crore on Wednesday, while Domestic Institutional Investors (DIIs) were net sellers to the tune of Rs 1,323.17 crore, provisional data available with BSE showed. The dollar index, which gauges the greenback's strength against a basket of six currencies, surged 0.07 percent to 96.44, ahead of the outcome of the Federal Open Market Committee (FOMC) meeting. Meanwhile, Brent crude, the global oil benchmark, was trading at $67.39 per barrel, lower by 0.33 percent. On the equity front, the 30-share Sensex continued its winning run for the eighth consecutive session Wednesday. The 30-share index closed at 38,386.75, registering a rise of 23.28 points, or 0.06 percent. However, the 50-share Nifty ended 11.35 points, or 0.10 percent, lower at 11,521.05. Meanwhile, Financial Benchmark India Private Ltd (FBIL) set the reference rate for the rupee/dollar at 68.8604 and for rupee/euro at 78.1446. 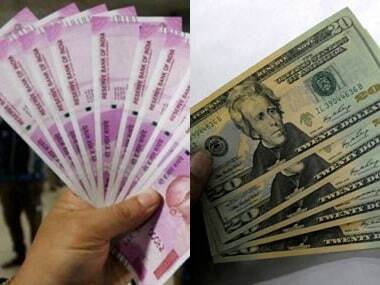 The reference rate for rupee/British pound was fixed at 91.2846 and for rupee/100 Japanese yen at 61.72.